1. Playmaker : Midfielders who were great as creator and passer but not proficient as support striker. 2. Attacking Midfielder : Opposite to Playmaker, They were much greater in go attacking to support do scores than creator and passer. 3. Playmaking-Attacking Midfielder : The combination between the first and the second choices. 4. Free-Role Midfielder : Midfielders who operate running the game in all area of midfield but mostly base on central area. 5. Playmaking-Holding Midfielder : Midfielders who played between deep-lying central midfield and attacking midfield area. Most of them have beautiful style of playing and being the most influence of team. The important skills of this position is consist of vision, passing, dribbling and even scoring. This kind of player was available in early decade known as “ Wing-Half ” or "Inside Forward". 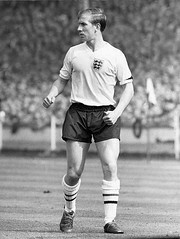 Helmut Haller is one of a few German top-class players in their history to settle down playing in aboard, was noted for his exceptional technique and finesse, yet also for his weight problems, which troubled him throughout his career. He played in Bundesliga with Augsburg just 8 seasons during his early and very lately career that was not his prime but he still won 5 International-Class from kicker ranking. He was very successful in his career with Bologna especially being very influence to lead Bologna win the series A title in 1964 in which he also finish second place in German footballer of the year. In 1966 FIFA World Cup, His performance was rated by kicker as a world-class player. According to German footballer of the year voting, he was German midfielder of the year for four times. 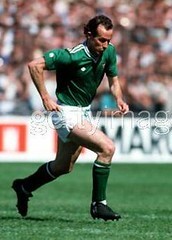 ‘Chippy’ Liam Brady is regarded by many as the best playmaker in history of Arseanl and Republic of Ireland. In his playing days, he was a midfielder renowned for his elegant technical skills, most notably his left foot “a most magical left peg” as they say in Britain. Brady had tremendous vision and exactness in his passing and more than enough dribbling ability to get free for his incisive strikes. During this time at Arsenal he was voted the club's player of the year three times. He is remembered as one of Arsenal's all-time greats, playing 307 matches for the Gunners and setting up many more. After the arrival of Michel Platini in summer 1982, Brady moved to Sampdoria, and went on to play for Internazionale and Ascoli , before returning to London to play for West Ham. He was selected in PFA team of the year for 3 times. Safet Susic was the most prominent star of Yugoslavia during the early 1980s, is one of the most underrated midfielders of all-time. In his playing days, he operated as playmaking-attacking midfielder with superb passing ability and good record of scoring. Darko Pancev ever mentioned about him that He's unsurpassable, the best Yugoslavia had, probably one of the best in the world. I was often known to say that us other players should have to pay to play in the same team as Pape. At least I always talked and thought like that. Pape was a treasure for every forward. His crosses were unbelievable. Sometimes his ball would hit me without me even being aware of it ‘A wonderful player’’. Gerd Muller gave his compliment to him as one of the top great players he has ever seen. Glenn Hoddle is considered as the most gifted British footballer of all-time. A classic playmaker who sublime balance and close control, unrivalled passing and vision and extraordinary shooting ability, both from open play and set pieces". Though regarded as a genius with the ball at his feet, Hoddle was considered an enigmatic and unreliable player to international managers guilty of over- emphasizing hard work and physical prowess instead of technical ability and attacking creativity. 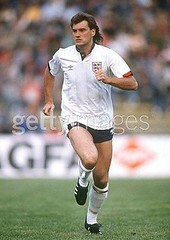 Hoddle's talent is widely appreciated abroad; less so in England that was not rather popular due to his personality. But still, He became one of the top legends of Tottenham Hotspur club. He was selected in PFA team of the year for 5 times. Johnny Haynes is the legendary English footballer in the lately 1950s to the early 1960s alongside Billy Wright and Tom Finney, played a club-record 658 games and scored 158 goals for Fulham Football Club. An inside forward, Haynes is widely regarded as the greatest footballer ever to play for the London club, particularly noted for his exceptional passing skill and ability to read a game. 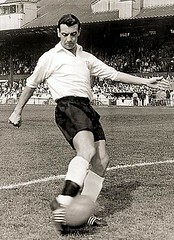 An accomplished international, many of his appearances were done while playing for Fulham in the Second Division. Pelé described him as the "best passer of the ball I've ever seen". 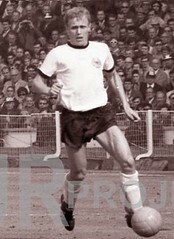 In 2008, Fulham announced that fundraising had commenced, with the co-operation of a fan's group, to produce a lasting tribute to Haynes. A statue was commissioned and was unveiled at Craven Cottage. "Piksi" Dragan Stojkovic is considered one of the most talent players in the history of Yugoslavian and Serbian football. He is one of the five players to be awarded the title Star of the Red Star. He developed into the best player in the league and his stellar performances with the club earned him the title of Zvezdina Zvezda only given out to the very best players in the club's storied history. Then he moved to Olympique de Marseille but mostly out of almost two seasons due to the injury, a half-season loan move to Hellas Verona sandwiched in-between his stints in Marseille. Stojković then signed with Japanese J-League team Nagoya Grampus Eight, then managed by Arsène Wenger. He spent seven seasons with the Grampus Eight. Alain Giresse was one of the famous players of France national team during the early 1980s alongside Michel Platini, Luis Fernández and Jean Tigana formed the legendary (Magic Square) in midfield, got successful three consecutive tournaments during 1982 – 1986. 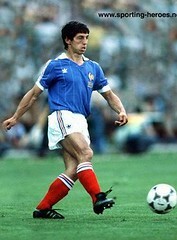 Aside from his achievement in international level in 1984 and 1986, Giresse won fourth place in World Cup 1982 with France. He was one of the smallest footballer to ever appear in the Europe but this point led him to be advantage in agility and acceleration. 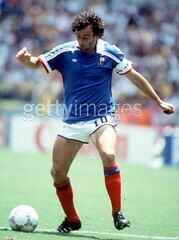 Giresse was an intelligent playmaker combined with beautiful style of play. He was voted seventh place as the greatest French player of all-time by France Football. "The Genious" Dejan Savicevic is one of the greatest Yugoslavian stars during the 1990s. He started well-known when helped Red Star Belgrade successfully won their only European Cup. By that time, He played as attacking playmaker. He was excellent in skillful dribbling, close control and vision to create assists. AC Milan brought him in the next season after then. Savicevic could play as wing-forward on both side or second striker as well but he was not a great scorer, more often operate as an assister. Nevertheless, He face many times of injury and it led him mistake several important games in both club and national level. All in all, Savicsevic is one of the most talented Yugoslav players but the longevity was a main disadvantage. ‘The Architect’ Andrea Pirlo is the best Italian playmaker during the 2000s, praised for his inventive playing, he is also a free-kick specialist. For both club and country Pirlo plays central midfield, as a deep-lying playmaker. He came in 3rd and 2nd in IFFHS World Playmaker of the Year awards in 2006 and 2007 respectively, is known for his long passes frequently set up goal-scoring opportunities for the Azzurri. When playing for Italy, Pirlo has returned to his old position as a traditional play-maker that he ever routinely plays when he was a player of Inter Milan. He is regarded by many as the second greatest player in the UEFA Euro 2012 tournament. Guerin Sportivo rate the 2011 - 2012 as his best season. In 2005, he won fifth place Ballon'Dor. 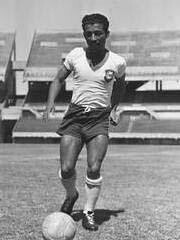 Jair Rosa Pinto is one of the famous Brazilian attackers Trio in the 1950 FIFA World Cup. Jair is the Brazilian legends from the 1940s to early 1950s. He was a versatile attacker and mainly played as inside-forward but he ran to support the game in everywhere of attacking line and sometimes switch to be outside-forward in both side. Jair was a superb technical player, fast and very agile in movement. Jair reached his prime in club career with Flamengo and then continue it with Palmeiras in which is the longest period club he played and become one of the most iconic players in history of the club. In National team, he played in three South American Championship in total 15 games and scored 13 goals. However, Jair was not in his prime level of playing in the 1950 World Cup and the team was finally beaten in the final match. Gyorgi Orth was one of the greatest all-round footballers in the pre-war era. He began his career since he was just 16 years old with MTK Hungary. His role was center-half position in the early career before switch to operate as inside-forward which is his best position. Orth won Hungarian league top scorer three times in row in the early 1920s. However, the majority of his games for Hungary national team was still performed as center-half. He confronted a big knee injury problem in his 25 years old and his performance had never been returned to the same level once again. Notwithstanding, he is regarded by some Hungarian expert as one of the greatest Hungarian footballers of all-time for his prime. Alexander Wilson James was the best playmaker in the World in the 1st half 1930s, and is most noted for his success with Arsenal, where he is regarded as one of the club's greatest players of all time. James played as an inside forward, as a supporting player for the main strikers. He was famed for the excellent quality of his passing and supreme ball control and had a phenomenal first touch. His rheumatism meant he wore "baggy" shorts to hide the long johns he wore to keep warm; the baggy appearance became his trademark. Alex James spent four years at the Second Division side, scoring 55 goals in 157 appearance. When signing for Arsenal, Herbet Chapman was to have his way. Herbie moved him deep into a central midfield position. "The Prince of Trivale" Nicolae Dobrin is considered by many to be the most skillful Romanian player ever and one of the most talented players ever to play the game. Nicolae Dobrin Stadium in Piteşti is named after him. He was included in the 1970 FIFA World Cup squad but not play in any game due to personal problem with his teammate. 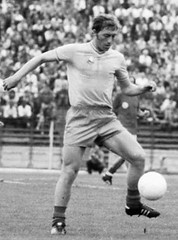 Dobrin was famously miss out on a transfer to Real Madrid. After playing them in a European Cup game, Santiago Bernabéu, wanted to transfer him with a huge amount of money. Because of the communist regime in Romania in that period, it was rejected as a result because Dobrin was regarded as a "national good" and such values could not be "estranged", especially not working for foreigners, according to the communist doctrine of that time. It is said that this was the biggest regret of Dobrin's life. Ademir da Guia is the greatest idol of history Palmeiras where he was holder absolute over sixteen years. Considered by critics as one of the best of Brazilian soccer players of all time, played by the class that inherited the surname of his father, Domingos da Guia, and is now called the "Divine." He is also considered one of the most wronged ace in the history of Brazilian soccer, as throughout his long career, was convened only 14 times for the Select and disputed only one match at the World Cups, in 1974, when Brazil already was disqualified. This is due to playing the same position as Rivelino. Ademir wasn’t very much as an accuracy long-passer but he was superb in short-passing and his dribbling and technical ability was among the top-class in the World. "The Artist" or "The Romantic" Dragoslav Sekularac is one of the top legends of Redstar Belgrade, was famous as one of the biggest showmen and crowd draws to fulfill his superb dribbling ability. He was quick and crafty with the ball, displaying creative skills that turned a lot of heads, Possessing supreme self-confidence along with impeccable technical ability and tendency to prefer the nice action to the more effective one. Today he is remembered for elevating the game to more than just goal-scoring. For many defensive players who were trying to guard him he was unsolved mistery, mission impossible. With his brilliant dribbling and fantastic goals he often raised the fans on their feet. His world-class performance in world cup 1962 help Yugoslavia to win fourth place and he was voted 4th in Ballon'Dor in that year. Bernd Schuster is famous for his flair, great technique and vision, is believed as one of the best German playmakers of all-time if he didn’t face the two big problems. The first one is he received a bad injury on his right knee by Andoni Goikoetxea at the age of 21 only. He could came back to show his amazing performance but the fact that he never reached his prime any longer. The second reason is due to his repeated disagreements with the German Football Association to include player playing outside West Germany, then national team manager Jupp Derwall, and teammates including Paul Breitner. Schuster later moved to play both big clubs in Madrid. He was rated in Don Balon Spanish La Liga XI for three seasons in three different teams. Then he back Germany to play for Leverkusen, was still ranked in international-class in 1993. Kaka is the greatest Brazilian footballer and World’s best playmaker in the lately 2000s and one of the most superstar in the World in this era. He is known for his peaceful characteristic. His outstanding performance for Sao Paulo and Brazil U-20 led him signing for AC Milan. Kaka didn’t disappoint his club and scored more than 15 goals for four seasons and become the greatest foreigner in Series A during the mid-2000s. 2007 was his best year that he won so many individual awards. Kaka is currently playing for Real Madrid “The Galacticos III” but his injury much impact his performance until he is not able to a regular starter of the club. For Brazil national team, he always perform in the level of superstar. Kaka was also voted in 4th place FIFA World Player of the Year twice times in 2008 and 2009. Ricardo Bochini is regarded as one of the most underrated South American footballers of all-time due to his few cap from playing the same position as Maradona. 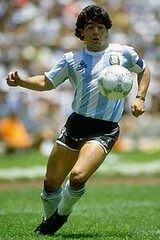 However, He was Maradona's idol and was noted for his superb passing abilities combined with excellent technique. Bochini was devoted his whole career, and some might say whis whole live, to the club of his heart: Independiente. He stayed there for 19 years, scoring near a 100 goals, and winning so many titles and becoming a legend between the Independiente's supporters, who still see him as one of the greatest Argentinean of all times. Nowadays, whenever someone does a great, unbelievable pass a lot of Argentineans refer to them as a "bochinean pass"; imagine the excentricity of this player's lobs and passes. "The Illusionist" Andreas Iniesta is one of the best midfielders in the World beetwen the late 2000s to early 2010s, is one of a prominent members of Barcelona and national team in their glory years. Iniesta is a productive player from Barcelona Youth team. He is a remarkably intelligent midfielder with a valuable set of dribble and inventive skill combine with physical balance, agile ability and work ethic. Although he scored average number of goals in overall career, he is best remmebered as the winning scorer in the 2010 FIFA World Cup final match. He is also a versatile player, originally started as defensive midfielder, is sometimes switched to play as left-winger if essential. Iniesta was also voted 4th place in the 2009 Ballon'Dor and the 2011 UEFA Best Player In Europe Award and is consecutively selected three times in UEFA and FIFPro XI between 2009 - 2011. 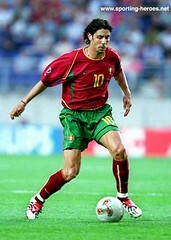 Rui Costa is regarded as the greatest playmaker to play for Fiorentina and Portugal national team. He was well-known for his extraordinary vision and short pass accuracy. He start his reputation with playing in the popularly Portugal golden generation team that won FIFA World youth champion three times. Despite the heavy competition with the best midfielders of Italian Series A in the time such as Zinedine Zidane, Costa was named the best playmaker in the league. His departure from Fiorentina came true after the club went bankrupt. Costa became Milan's most expensive transfer of all-time but his great time was available just for two seasons after Kaka came to the club and led him to the bench. Due to win a few trophy in club career, he was underrated and has never been voted in top ten Ballon'Dor in any year. “The Black Pearl” or "The Foot of God" Larbi Benbarek is a forgotten first African legends who started playing football during the World War II, is regarded as one of the most talent players to born in the Africa. He had all the talents and gifts: touch of the ball, vision play, heading, dribbling, stature, and style. Pele made a famous statement about Larbi: "If I am the King of Soccer, then Larbi Ben Barek is the God of it". Ben Barek started well-known when he was hired to play football in France. Unfortunately, His career was interrupted by the onset of World War II. He came back to his best with Stade Français FC. 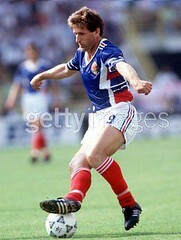 He played for the only France national team. In Spain, with Atlético Madrid, where he truly blossomed and where his international fame spread. He sustain his high level performance until 41 years old before a retirement. Juan Roman Riquelme is the most talented playmaker in the World during the 2000s. His main assets are his passing and setting the tempo of play. After he won the best player in South America, He signed for Barcelona but his coming seems to be political signing for Luis Van Gaal and he was mostly dropped as a reserved player for matches. Consequently, he moved to Villareal and becoming the indispensable playmaker to lead them finished third place of Spanish league in 2005 and incredibly reached semi-final round in UEFA Champion League 2005 -2006 despite the first participation. He came back to play in his homeland again and became the most important player of Argentina national team in World Cup 2010 qualification until Maradona got to control and dropped him out of squad due to his different attitude. “The Poet With The Golden Left Foot” Cesar Cueto is one of the most talent South American footballers during the 1970s, is one of the most underrated footballers ever as he never finish in any top five of South American footballer of the year despite his availability in all great skills for being playmaker and artist of the game, and the cause might be his low-profile achievement in club level. His only weakness is scoring ability. However, He was one of the most important players leading Peru winning Copa America and qualifying for two consecutive World Cup tournaments. Even Cubillas was a lot famous player due to doing a large number of scores in WC, It is actually Cueto who was the important key as creator and Peruvian consider Cueto wasn’t inferior to Cubillas in overall abilities. Pedro Virgilio Rocha Franchetti was the very successful players in all level of participation, was a free-roaming attacking player of skill able to score from anywhere including free kicks during the 1960's and 1970's. He is an organizer and creator to make so many assists to Alberto Spencer who is one of the best strikers in the World in that time. Rocha always was greatly playing as second striker. These qualities led him to help Penarol dominating the South American football and became one of the most successful players in the zone. Additionally, He won the minds of Uruguayan for his first-class performance for Uruguay national team, and is considered as one of the best Uruguayan midfielders of all-time. "The Czech Canon" Pavel Nedved is the greatest Czech Republic footballer of all-time. His impressive performance in EURO 96 led him about the offering from Lazio. Nedved occasionally played as left-winger and sometimes as central midfielder there. He was known for his energy, tireless running as well as his goal scoring ability from the long-range. Moreover, He was also very good in dribbling and playmaking abilities. Nedved helped Lazio won their second Italian League trophy in their history. His prime was reached after he was signed to Juventus. Particularly, He was the very top best players in the world in 2003. Nedved was chosen as a starter in All-Time Lazio XI by many journalists in www.channel4.com. He was also voted in 4th place FIFA World Player of the Year in 2004. Kazimierz Deyna is regarded by many Polish as the greatest footballer ever of their country. He was one of the best marksmen in the history of world football, was a playmaker or deep lying forward famed for his finishing, vision and elegant way of playing. He had the ability to score from unusual positions, e.g. directly from a corner. Thanks to his skills, he was chosen several times the Football Player of the Year by Polish fans. In 1972 he was the Top Goalscorer of the Olympic Games, with a total of nine goals. 1974 was his best year, won the third place both in Ballon d’Or and the best player in World Cup tournament. He made a special highlight help Legia Warzaw to reach European Cup semi-finalist once time. He played for Manchester City in the lately career but often face the injuries problem. Antonio Sastre is the most underrated Argentinian footballer of all-time. He was the greatest playmaker in the pre-war era. He was notable as the inventor of playmaking style of play and his skills was imitated by many argentinian legends later. 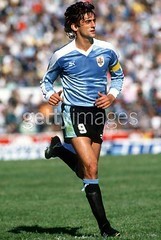 Sastre was an all-round midfielder that he could play well in everywhere in this line with his intelligent. He played as wing-half, inside-forward and outside forward during his career. His name has never been famous in the worldwide enough just because Argentina didn't participation in World Cup tournament during his time After he did his great performance in Argentina, Then he moved to play in Brazil with Sao Paulo and he still did impressive quality of his game until the old fans of the club in nowadays still remember him as one of the best legends of their club. “The Maradona of Carpathians” Gheorghe Hagi is the greatest Romanian footballer of all-time. He had excellent technique and vision, his passing abilities was unparalleled, and his shots often found the goal as witnessed by his long-range goal against Colombia in the 1994 World Cup. His dribbling ability was also formidable. Hagi was the heart of Romania in their best era, qualified for 3 consecutive World Cup final tournaments. He met the most successful period with Steua Bucharest, was a prolific scorer and help the team to reach a European Cup finalist. He then failed to success his career in Spain both in Real Madrid and Barcelona, partly because of his injury but he totally had a hard time to adjust himself to their style of play. Hagi returned to be an important role with Brescia and Galataslaay. He also won second place Romanian footballer of the year 6 times. In 1994, he finished 4th place in Ballon'Dor and FIFA World Player of the Year. 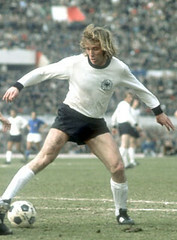 "Karajan Of European football" Gunther Netzer was considered to be one of the greatest passers in the game's history. Kicker rate him in 2 World-Class seasons and 6 seasons of International-Class during his career with Munchengladbach. Due to the fact that he several times could not play for West Germany well under pressure situation although his abilities never been doubted, This led him just as the reserved player in the 1974 World Cup. 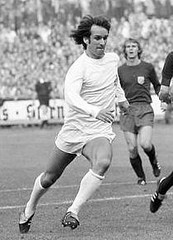 Netzer was the iconic playmaker and is considered one of the most talented midfielders of all times, gaining a lot of attention with his long passes and pushes from deep within his own half of the pitch. Apart from his superior ball skills, his natural authority made him the undisputed leader of his team. According to German footballer of the year voting, he was German midfielder of the year for three times. Wolfgang Overath is the most underrated German footballer of all-time in spite of being the greatest German playmaker ever. He holds the all-time record most appearances for FC Koln with 765 games and scored 287 goals. Kicker rated him in 4 world-class seasons and 9 seasons of international-class. Overath is one of the few players with World Cup medals for 1st, 2nd and 3rd place. He was known for his passing and organizing ability, especially with his left foot. In World Cup 1970, Many foreign journalists voted him Germany's best player. Overath was also very famous for his winning-mental and always was able to perform an aggressive playing combined with technical option to help West Germany got back to win after being led scores.. He unbelievably never won German footballer of the year. According to German footballer of the year voting, he was German midfielder of the year for three times. “The Prince of Uruguay” Enzo Francescoli is one of the greatest Uruguyan footballers of all-time, holds the record most Copa America champions with three. He was noted for his graceful, fluid abilities on the ball and ability to score. These qualities would later influence the style of French midfielder Zinedine Zidane, who has stated that Francescoli was his favorite player as a young boy. He is known as one of the top legends in history of River Plate club. But still, Francescoli had a problem like many South American footballers about adaptation to play in Europe especially in Italian Series A. He played for Cagliari and Torino in total 4 seasons and done his performance just less than his potential. Francescoli was a prolific scorer as midfielder, often switched to play as second striker. He holds the record all-time top scorer-foreigner of River Plate. 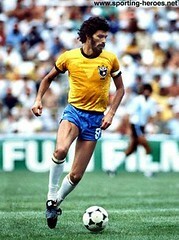 Socrates is considered as one of the most classic playmakers of all-time. He was an wonderful technical player, assister and team organizer, with great through passes and vision of the field. He was also a two-footed player and a prolific goal scorer. His ability to read the game was highly valued, and his signature move was the blind heel pass. He was able to play the ball wherever and whenever he wanted. His signature move was the blind heel pass became famous world wide. These rare skills combined with he was a medical student more than justified him being nicknamed the Doctor. He debut for Brazil at age of 25 years old and was not picked for the 1978 FIFA World Cup due to personal preference of Brazil coach Countinho.He always got injury combined with his unprofessional behavior as a drinker and smoker led his career is inconsistency. Sandro Mazzola is one of the most renowned Italian football players of 1960s. He is the son of Valentino Mazzola, played for the Inter Milan team known as La Grande Inter. He was an inside right with superb goalscoring instincts. He was also blessed with superb creativity helped by his passing range and close control. He also often played as a creative attacking midfielder and did impressive quality in defensive game. His biggest achievement came in 1968 when Italy won Euro 1968. Mazzola was overshadowed by Gianni Rivera in his time but he was still chosen to play for Italy more games than Rivera. Mazzola was indispensable player of Inter Milan in their glory years during the middle 1960s. He eventually became the legend of the club after 17 seasons there. Michael Laudrup is the greatest Danish footballer of all-time. A play-making midfielder, He was known as one of the most effective passers, as well as one of the most skillful and elegant players of the game and is still popular amongst fans. Laudrup was considered by many as one of the most technically accomplished players ever, only lamenting his lack of selfishness causing him to score too few goals. He plays like a dream, a magic illusion, determined to show his new team his extreme abilities. However, he could not reach his highest potential and failed to reach international-class for many seasons in Italian Series A. He reached his prime in Spanish La Liga in the early 1990s. Michael did not play in the victory champion Denmark team in Euro 92 due to political differences with Richard Møller Nielsen. He finish 4th and 5th place in 1985 and 1993 Ballon'Dor, respectively. "The Baron" Nils Liedholm is the greatest Scandinavian midfielder of all-time, was famous for being part of Sweden's "Gre-No-Li" trio of attackers at A.C. Milan and Sweden. Famous for his passing abilities, Liedholm was the creator of many of Gunnar Nordahl's goals. 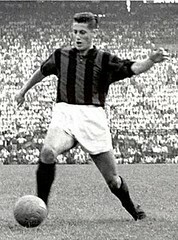 According to legend, it took two years playing for Milan until Liedholm misplaced his first pass at the San Siro, the rarity prompting a five-minute ovation from the home crowd. Liedholm was also one of the first players to realize the importance of fitness to a good performance. Consequently, he put in many more hours of training than other players, saying himself that he did the 100 meters, 3000 meters, javelin, shot put and high jump twice a week. His club career would continue until he was almost 40. Liedholm scored the opening goal of the final round of World Cup 1958, which makes him the oldest player to score in a World Cup Final. “The Kid” Teofilo Cubillas was a midfielder of excellent technical ability, powerful shot and great dribbling, he was also known as a free kick specialist. He was a prolific goalscorer, his 10 World Cup goals place him in seventh place in the ranking of the World Cup all-time scorers, and are the most by any midfielder in the World Cup. He is the all-time leading scorer for his country. Cubillas was so famous in World Cup tournament, Led Peru reached quarter-final round in 1970 and 1978 those are the best achievement in their history. He was voted the 48th best footballer in the world and 17th South American footballer of the 20th century in a poll by the IFFHS. In 2008, to celebrate the 50th anniversary of the first Brazilian World Cup victory, he was selected in the All-Star First Team of South America of the past 50 years. Juan Schiaffino is widely regarded as the greatest Uruguayan footballer of all-time. He was an inside-left who proficient as a creator and assister more than a scorer. Schiaffino was one of the best inside-forwards of the 1st half 1950s. He broke into the Peñarol youth team as a 17 year old and a year later was a first-teamer. At 19, he was a member of Uruguay's South American championship squad. In the 1950 World Cup he was the second highest goalscorer with five goals, including an equallizer against Brazil in the final, which set Uruguay on the road to victory. Four years later, an injury to Schiaffino in the semifinal saw the South Americans defeated and finished in fourth place. AC Milan paid a world record for Schiaffino shortly after the 1954 World Cup. He was rated 8th Best World Cup player of all-time by France Football. "The Architect" Luis Suarez Miramontes is regarded as the greatest Spanish footballer of all-time and the best European midfielder in the early 1960s, iso ne of the most underrated players among World’s legends, is one of the best passers ever. He was one of the great organizing of the modern era. Not content to direct from a distance, he help modernized the forward-looking more free-ranging creative midfielder and known as his elegant movement. Suárez first played as an inside left for Barcelona. He was also noted for his perceptive passing and explosive shot and in 1960 he became the only Spanish-born player to date to be won Ballon d’. In 1961 Suárez became the world's most expensive footballer when Barcelona sold him to Inter Milan where he was an equally prominent member of the legendary Great Inter side of the 1960s as a deep-lying playmaker. He retired as a player after the last three seasons at Sampdoria. Valentino Mazzola was the greatest footballer in the World during the late 1940s and is one of the most completed footballers of all-time. He captain of the legendary Grande Torino side killed in the Superga air disaster at the age of 30 year olds. An inspirational character, he was also gifted with great skills and a scoring ability could tackle, defend and lead his teammates to victory with his charismatic presence. Mazzola senior was a robust figure as the game in the immediate years around World War II required. He scored 118 Series A goals in 195 games for Torino. He shared his view of the game before the disaster “I consider football to be a very simple game. You will win as long as you don’t always play in the same way. You have got to add some variations to make your game more dynamic. There has to be room for improvisation outside of classical tactics. But I am of the opinion that modern football must be above all a team game." Raymond Kopa is the great legendary French football who is regarded as the finest playmaker in the World during the late 1950s. Kopa was the progeny of a Polish immigrant family. He was a free-role playmaker who ran to many areas in attacking line, quick, agile and excellent in dribble combined with playmaking abilities. 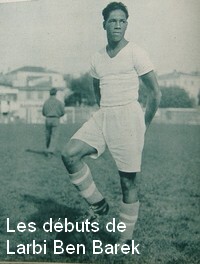 He played or Stade Reims in his early career during their glory years. After he with the club lost Real Madrid in European Cup final 1956, He was signed to the Santiago Bernabeu, played for them for three seasons and fortunately won European Cup all seasons. Kopa was an important key player to lead France won third place in World Cup 1958 with his many assists to Just Fontaine who overshadowed him by scoring so many goals. Kopa return to play for Stade Reims for eight seasons. “The Master” Adolfo Pedernera is considered as one of the greatest legends in history of Argentinean Football, is one of the greatest creators ever. He was set as center forward for “La Maquina” in the basic formation. To support “Total Football’ style of play, he always down to operate creativity in the midfield area and create a large number of assists. Then, he went forward to make score by his own. His style of play is regarded as the similar kind and level of Alfredo Di Stefano. He debut professional career at just 16 year olds. Later then, He joined with Milonarios after spending 13 seasons with River Plate. The press of Bogotá received Pedernera well and commented after his great performance in the first match that "He was a phenomenon, an artist, a master of passing, and a show of intelligence. After the debut of El Maestro, everything is possible." “The Golden Boy of Italy” Gianni Rivera is considered as one of the greatest Italian footballers of all-time and is one of the greatest-youngest player ever. He was an advance creative midfielder with offensive ideas, often at odds with the proponents of the classic Italian defensive schemes. Rivera had a classy elegant and aesthetic style, impeccable in the dribbling and distribution. His passing ability was very top-class of the world. Rivera could play well as both of deep-lying playmaker or free-role playmaker. His talent in the only season with his first team Alessandria led him to be transferred to Milan and become a starter of the team immediately at his only 18 year olds. He gradually proved himself until being a famous legend of the club after the consistency performance for two decades in Italian Series A. Unfortunately, he played in the same era as Sandro Mazzola and this led him not became a legend in any major international tournament. "Kinglet Park" Rivelino is widely regarded as one of the most graceful footballers ever and also one of the most underrated players in football history. He was famous for his extremely potent left-foot shot, thunderous long-range free kicks, excellent long passes, quick thinking, distinct way of handling the ball and large moustache. He invented a football move called the "Elastico", also known as "flip flap", famously copied by Ronaldinho and C.Ronaldo in recent years. Rivelino played for Corinthians during the most troubled periods in the history of the club, didn’t win any state trophy and this reason effect him never won first place in any individual awards. He later move on Fluminense and finally won state trophies. He was a key player for Brazil to reach semi-final in World Cup twice times during the 1970s. He is selected in FIFA All-Time South America team of the Century in 1998. 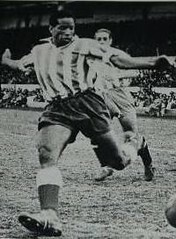 "Master Ziza" Zizinho was the greatest South American footballer in the late 1940s. He came to international prominence at the 1950 World Cup, where scored two goals. He played as an inside-right but could operate his game in central midfield with his stamina to help defensive game, is noted for his dribbling skills and pace. Zizinho played for Flamengo, Bangu, São Paulo FC, Audax Italiano of Chile among others teams. He mostly spent his career with Flamengo and scored 146 goals for the club. In the 1950 World Cup he helped Brazil to progress to the final, but their surprise 2-1 defeat to Uruguay tarnished his reputation. Pelé always said that Zizinho was the best player he ever saw. "He was a complete player. He played in midfield, in attack, he scored goals, he could mark, head and cross." He came in 4th place in the IFFHS Brazilian Player and 10th place South American player of the 20th Century. Bobby Charlton is the greatest British footballer of all-time. Although his talent was not among the best ever but his consistency in effectiveness trough his career was great enough to be ranked from many sources in top 15 greatest footballer of all-time. He had made more appearances for Manchester United than any other player with 758, a record superseded by Ryan Giggs at the Champions League Final in Moscow in 2008. However, Charlton still owns the club record for most league appearances with 606. He was a speedy withdrawn attacking midfielder with excellent close control and he combined those attributes as a devastating dribbler in the open field. He packed considerable power with either foot and use it to score many spectacular goals and even had a high quality in defensive game. Charlton finished 10th, 12th and 14th place in IFFHS, World Soccer and UEFA Jubilee poll, respectively. "Zizou" Zinedine Zidane is the greatest footballer in the World during the early 2000s. His primitive race is Algerian. Zidane was expected to be an important role of France after they disqualified for World Cup 1994 in the last minute but he could not be the superstar in Euro 96. Then, He moved to Juventus and helped them reach 2 consecutive UEFA Champion league final but lost all. In World Cup 1998, Zidane was renowned for scoring two goals in the final match with heading but he didin't win any ball of the tournament. Oppositely, He won FIFA World player of the year. His prime was started after then in his career at Real Madrid. He was voted in top five FIFA World Player of The Year for 9 times during 10 years between 1997 and 2006. Zidane was almost perfect in his role setting organization of the game, superb ball controlling, precision passing combined with great physical option. In 2004, Zidane was finished as the best European footballer in the last 50 years by UEFA Jubilee Poll. "Rooster of Quintinho" Zico is commonly considered as one of the most skilled dribblers and finishers ever and was the world's best player of the early 80's. 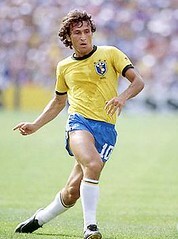 An excellent organizor and creator, but also the deadly dribbler on the run, Zico was equally proficient finisher. Many of his goals were sudden and unexpected but spectacular efforts. He was also known as one of history's greatest free kick specialists, able to bend the ball with pace and accuracy as well as having an extremely powerful shot. He holds the record all-time Top Scorer in Flamengo's history and won silver ball Brazilian footballer of the year 5 times. He played for Udinese for 2 seasons. The first one was great done with his 24 goals from 33 games but the injury made him had a hard time in the second season. He was voted 5th place best player of the tournament in the 1982 FIFA World Cup. Despite Zico is one of the best players the world has ever seen but he was not ranked in top 10 the greatest footballer ever in many polls due to his non-trophy in World Cup. But still, He was finished 9th the greatest player ever by France football’s poll. “Napolean of Football” Michel Platini is widely considered as the greatest midfielder in history of European football and the finest footballer in the world during the early 1980s. He was famous as a leader of “The Magic Sqaure” alongside Alain Giresse, Luis Fernández and Jean Tigana , the group of midfield players that formed the heart of the French national team throughout the 1980s. He is also widely regarded as the greatest passer in football history as well as one of history's greatest free kick specialists and finishers and also possessed superlative reading the game skill, intelligently movement to score a large number of goals. He holds the record for most goals (9) scored in European Championship final tournaments despite only appearing in one such tournament (1984). Despite being a midfielder, he held the national team top scorer record until striker Thierry Henry surpassed in 2007. He was voted 4th best player of the 1986 FIFA World Cup Tournament. Platini was voted 5th, 5th,7th World’s greatest footballer of all-time by France Football, World Soccer and IFFHS poll, Respectively. Diego Maradona is regarded by many as the greatest footballer of all-time. A Phenomenon footballer, who led a normal-level team in Italy to be Champion with his own abilities, He was a ball wizard who had incredible touch and control of the ball. His genius was as a creator of opportunities assisted by exceptional passing technique. His most famous was a wonderful dribbling, several times could get pass defenders easily. Over the course of his professional club career Maradona played for Argentinos Juniors, Boca Juniors, Barcelona, Newell's Old Boys and Napoli, setting world-record contract fees. In his international career, In the World Cup 1986's quarter-final round he scored two goals in a 2-1 victory over England that entered soccer history, though for two very different reasons. The first goal was an unpenalized handball known as the "Hand of God", while the second goal was a spectacular 60-metre weave through six England players, commonly referred to as "The Goal of the Century". For various reasons, Maradona is considered one of the sport's most controversial and newsworthy figures. He was suspended from football for 15 months in 1991 after failing a doping test for cocaine in Italy, and he was sent home from the 1994 World Cup in the USA for using ephedrine. Maradona is believed to reach World-Class around 8 seasons in domestic club and his 1984 - 1985 individual season at Napoli is considered as one of the best ever. He finished second place in World Soccer Player of The Century and France Football Player of The Century. Walter Gomez is one of the forgotten World-Class players in South America in the late 1940s to the 1950s, and is regarded by some as the greatest Uruguayan player of all-time. He start playing his professional caree just at his 17 years old of age with Central Espanyol and made his international debut and move to Nacional in nex year. Then, he was transferred for River Plate to replace Adolfo Pedernera and Walter Gomez became a very popular player and finally he was even rated as top legend in history of Argentinian league. Gomez as known as one of the pioneers as Second striker. He was a master of creative playmaking with superb vision. However, Gomez won a few caps due to playing outside Uruguay and he has no goal in his national career profile. He later played for Palermo in Italy and switched to play as offensive midfielder. Last edited by Dearman; July 26th, 2012 at 05:14. Zico, Rivaldo, Totti would be second striker in next thread. Last edited by Dearman; June 1st, 2011 at 14:40. Now, lets start teh countdown to when the complaining about Zidane over so and so begins. What is Zico being considered; AM or second foward? I just copy some part. I combined details for many sources. Wikipedia didn't indicate some awards tough. I add more details from other sources plus my knowledge getting from old timers in several country. Then this is a great job, even if, like all lists of this sort, it can be disputed. quick question: who was AM in 2-3-5 pyramid formation ? Side halfbacks had more defensive duties while center halfback can be identified with DM or deep-lying playmaker. Who of 5 forwarders could be associated with AM ? Inside forward, or withdrawn forward ? I´m asking because I have a dilemma where to put Nándor Hidegkuti. Hidegkuti was their "playmaker in the hole" aka the AM. A withdrawrn inside forward. I think Schiaffino did the same thing at times. He's another name that better be on some list. Excellent copy paste work. Too bad they forgot Zico. Digging all details from internet about 1 player can take hours. Many Wiki pages of old czech/slovak/hungarian players (my particular interest) are usually incomplete and I alone edited a lot of them. These are the most impressive lists of top players by positions I was able to find on cyberspace so far. Socrates ranked higher than RIVERA? and where in the world is CESAR CUETO? Cueto $$$$$$$$HIIIIIIIITS all over the philosopher!!! Zio played in position like Pele played in WC 1970. He was always just behind target striker and Scored a large number of goals. No, he really didn't. 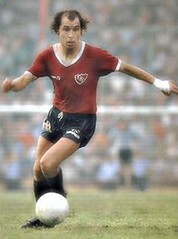 Zico was an attacking midfielder, both in Flamengo's historical team and in the NT. Flamengo's historical lineup: Raul; Leandro, Figueiredo, Mozer, Junior; Andrade, Adilio and Zico; Tita, Nunes and Lico. Brasil's 1978 lineup: Leão, Toninho, Oscar, Amaral and Edinho; Batista, Cerezo and Zico; Gil, Reinaldo and Rivelino. Brasil's 1982 WC lineup: Valdir Peres, Leandro, Oscar, Luizinho and Junior; Cerezo, Falcão, Socrates and Zico; Serginho and Eder. - On our debut in 1982 against the Soviet Union, we played in a 4-3-3 with Zico on midfield with Falcão and Socrates, Cerezo at the bench and Dirceu playing upfront with Serginho and Eder. But since Brasil struggled on that first match (the USSR even scored the 1st goal, and we had trouble imposing our passing game), on the second game Dirceu was benched and Cerezo came into our midfield to make the team more compact - but Zico was ALWAYS an attacking midfielder. Zico should come in 2nd place but no lower than 3rd place!!! Interesting read. I don't know about others, but it's the first time I've heard of many of these names who were born before my grandfather was. Grinch, Thanks for clarify about that point. I'd add him soon. Cesar Cueto should at least be in the TOP 20! Independiente's biggest idol! 4 Libertadores, 1 WC!!! Superb skill and vision! KAKA' TOP 30? Just gave me the munchies! And where's RIVALDO? Last edited by Dagoods; December 4th, 2009 at 13:06. I see I couldn't convince you of him belonging to the top 50. No worries, though, as promised I provide the pictures then. Starting his career as a Spanish top flight footballer in his hometown club Sporting Gijon in 1989, Luis Enrique appeared a promising forward, scoring 15 goals in 35 games during the 1990/91 campaign. A merit which gained him a contract with Spanish giants Real Madrid, where his versatility, a virtue which would significantly mark his further career, would first be proven. Signed as a forward initially, he quickly gained the status as a first team regular, but not playing upfront. He was generally picked as full back on random side. In 1992 his first big trophy would arrive. As part of the legendary team that represented Spain in the Olympics 1992 in Barcelona, including the likes of Abelardo, Guardiola, Kiko and Canizares (sub-goalkeeper to Toni) among others, he gathered the most prestigious golden medal in the world of sports, at fairly young age. His first club trophy could be celebrated a year later in 1993, when Real Madrid won the Spanish Copa del Rey after a 2:0 final victory over Aragon's totemic side Real Zaragoza. In 1994 Luis Enrique competed in another major tournament with the Spanish national team: the World Cup in the USA. That campaign ended in a quarterfinal loss to Italy and, on a more personal level, with a broken nose for Luis Enrique, caused by an elbow check of Italian right back Mauro Tassotti. Tassotti did not get punished for that during the match, but in the aftermath was handed an 8 match ban and never played on international level again. In the early 90s, Johan Cruyff's Barcelona was the dominating force in the league, but in 1995, Real Madrid broke their impressive run of four successive championships by bringing the trophy back to the Estádio Santiago Bernabeu. Luis Enrique, alongside hot shot Zamorano, youngster Raúl and virtuoso Michael Laudrup, played a vital role in that triumph, providing a goal to the legendary 5:0 victory against Barcelona and his prominent fighting spirit throughout the campaign, which would later gather him the nickname Lucho among the Barcelona crowds, as Barcelona was the club he ended up signing for in 1996 after a dissapiointing season with Real Madrid, which saw the record champion fail to qualify for Europe. The eventual suspicion Barcelona-fans might have met him with was soon devitalised by the brilliance of his performances in the Blaugrana-shirt from day one on. After years of predominant defensive duties at Real Madrid, he was finally engaged to show his offensive potential again. For most of the 1996/97 season he was fielded as a forward and formed a lethal partnership with footballs newest prodigy Ronaldo. Together they scored 51 league goals, 17 was his share, in Bobby Robsons legendary Barcelona which scored 102 league goals, but had to give the title in the end to their bitter rivals Real Madrid, who were far less spectacular under the commando of Italian tactician Fabio Capello, but slightly more effective. They found consolation, however, in clinching the Spanish Supercup, the Spanish Copa del Rey and the European Cupwinners Cup, with a 1:0 final victory over Paris Saint Germain. In 1998, with headcoach Louis Van Gaal charge, they continued their streak of success with finally gaining the championship again, for the first time in four years and completing the double with a Copa del Rey final victory over Real Mallorca. Luis Enrique, not playing as a forward anymore but rather in a versatile role in the offensive midfield, scored 18 goals and was the teams second best goalscorer, only Rivaldo, signed recently from Deportivo La Coruna to make up for the loss of Ronaldo to Internazionale from Milano, scored one more. Luis Enrique was on the scoresheet in the Classico in the Estádio Santiago Bernabeu which Barcelona were able to win by 3:2. His celebration of this goal became legendary among the Barcelona faithfuls, hence it left no doubts about the circumstance that his move to Catalunya in 1996 was obviously a heartfelt one. In summer he competed in his second World Cup with Spain, a quite dissappointing one, though, as the Spanish failed to overcome the group stage. The 1999 season as well was marked by imperative success. After being sidelined for a few months due to injury, Luis Enrique returned in breathtaking form, helping to lift the team from a mid-table position to championship glory again, via scoring eleven goals and providing his unmatched morale and spirit, infecting the entire team with it. In this year Classico in the Camp Nou he was man of the match, having scored twice, when Barcelona overran Real Madrid by 3:0. In 1999/2000, however, Luis Enrique and the promising team he played for had to experience a turn of luck. Being touted as major favourites to win that years edition of the Champions League, they only reached the semifinals, where they were surprised by a Mendieta-inspired Valencia-side, which was surely on fire these days. Infact, Barcelona had to accept the role as a spectator in an all-Spanish final, which their bitter rivals Real Madrid took to a glorious completion on their behalf. The departure of Luis Figo to the Merengues that summer marked the beginning of one of the deepest crisises in the recent history of FC Barcelona. Luis Enrique, however, despite the absence of fresh silverware, remained loyal to the club, having gained capitancy and an incomparable status among the fans. His further career, however was overshadowed by an extended streak of injuries, which always would appear to call current ups to a halt. He was, however, not injured in summer 2002 and thus gained a spot as a regular in the national team that competed in the World Cup, it was the third and last time, that the most important tournament in World football saw Luis Enrique take part. Spain's campaign took them to the quarterfinal, where they ended up losing to hosts South Korea in highly controversial manner. The 2003/2004 season, Luis Enrique's last year as a Barcelona players, saw the team premature for winning some silverware again, inspired by the signing of Brazilian theurgist Ronaldinho Gaúcho. Unfortunately a bad start to the season led to the team not being capable to reach higher than ranking second in the final table, despite an outstanding second half of the campaign. 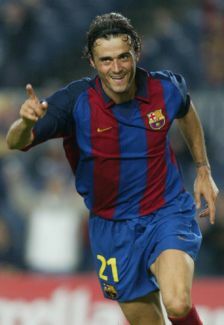 When the team won 2:1 in the Éstadio Bernabeu that season, Luis Enrique entered the match as a sub at the score of 0:1 and played a vital role in the turning of the same on behalf of his team under the constant boos and whistles from the Madrid crowd, which accompanied his every move whenever he returned to their stadium. On 16th of May 2004, Luis Enrique wore the Barcelona shirt for the very last time, facing Racing Santander in a 1:0 victory which gathered them the second spot in the league. Being subbed somewhen in the second half, he was rewarded for his sacrificing and inspiring services for the club with extended standing ovations. The clubs supporters had also prepared a gigantic Barcelona shirt with the number 21, which has always been his number with the Catalan side, on the back. He had before made the statement, that this game would definitely mark the end of his carreer, having turned down various offers from other clubs to sign him as a player, arguing that he would consider it a fraud to sign such a contract, given his body was struck by a serious of injury and not fit for top-class football anymore. A last act of true class. After his career as a professional footballer, he turned to other sports, such as cycling and marathon, competing in various ironman competitions. When his friend Josep Guardiola was promoted from coaching Barcelona Atlétic to managing the first team (with outrageous success as we all experienced). Luis Enrique was offered and accepted the job Guardiola had left vacant. After gathering a mid-table position in his first year at helm there, the team currently has a good streak, ranking fourth at the moment, only 2 points behind the leader. Thus, it seems like Luis Enrique also as a coach has the ability to 'infect' his team with his examplary spirit and enthusiasm and a great career lying in front of him also on that métier wouldn't be a big surprise. Last edited by Bier; December 4th, 2009 at 14:20.
haha. Thanks for mention. I have changed it. I first type Larbi Benabrek in google and a picture of some player name larbi ben barek not benbarek was happened and it made me feel his face was more sulitable as rougness defender. Plus, I have added Zico in 3th and raise Benbarek higher to 23th.